To celebrate my spouse’s successful completion of graduate school this week, we took an overnight trip to San Antonio to check out museums and the several mile new extension of the San Antonio Riverwalk, part of a multi-year effort to extend the river walk to 13 miles from Brackenridge Park to the north and Mission Espada to the south. After a welcome thunderstorm, we ventured out to walk a section north of downtown and take in the art hanging from bridges crossing the river. 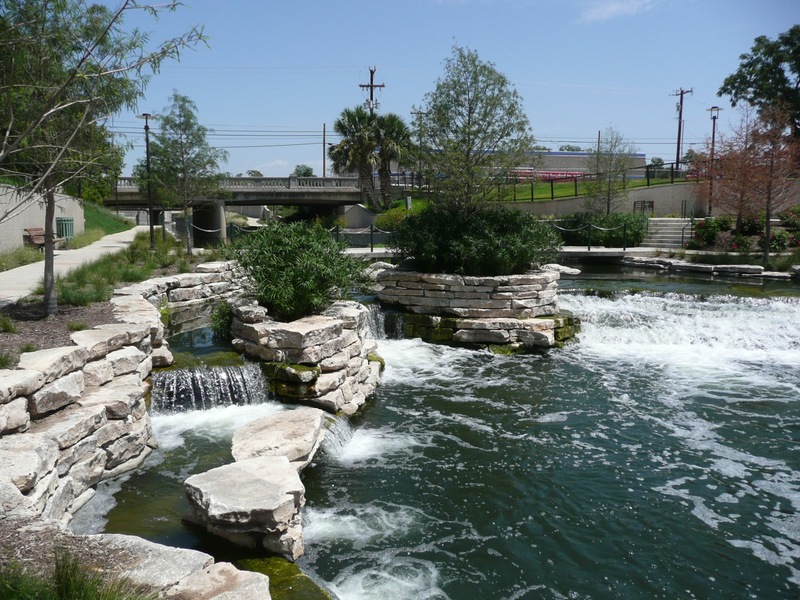 The dual 8 foot wide paths on both sides of the river, along with locks (for rio taxis), connections for the VFW hall, San Antonio Museum and the currently being redeveloped Pearl Brewery are very impressive. Here’s a few photos from the area at the (currently being redeveloped) Pearl Brewery before our digital camera told us that it had a low battery charge. In short, this is not like the two mile stretch of the riverwalk in downtown San Antonio! Check it out. 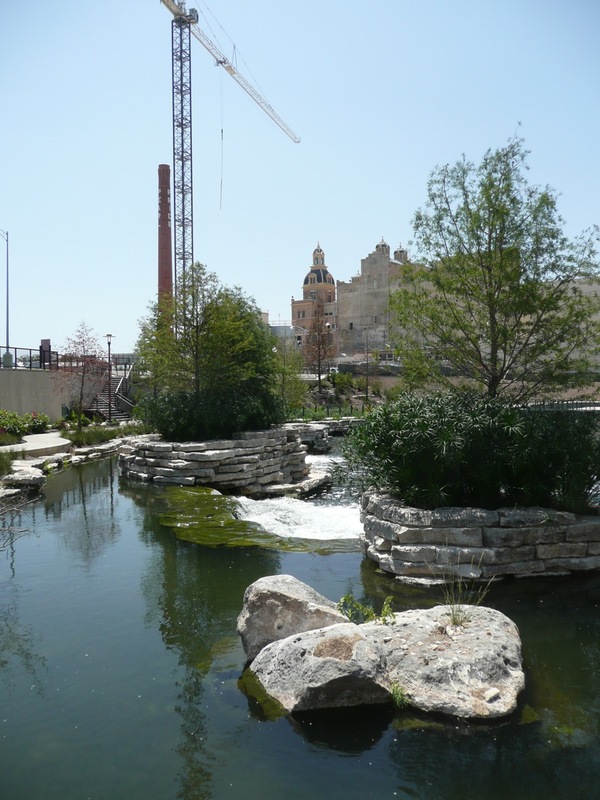 This last picture is of a recreated wetland in the Pearl Brewery area. A few notes, much of the area between downtown (the AT&T Locks area) and the park is underdeveloped. There were many old car dealerships and other industrial uses that have moved on, making this an area – I believe – primed for redevelopment when the economy turns around. 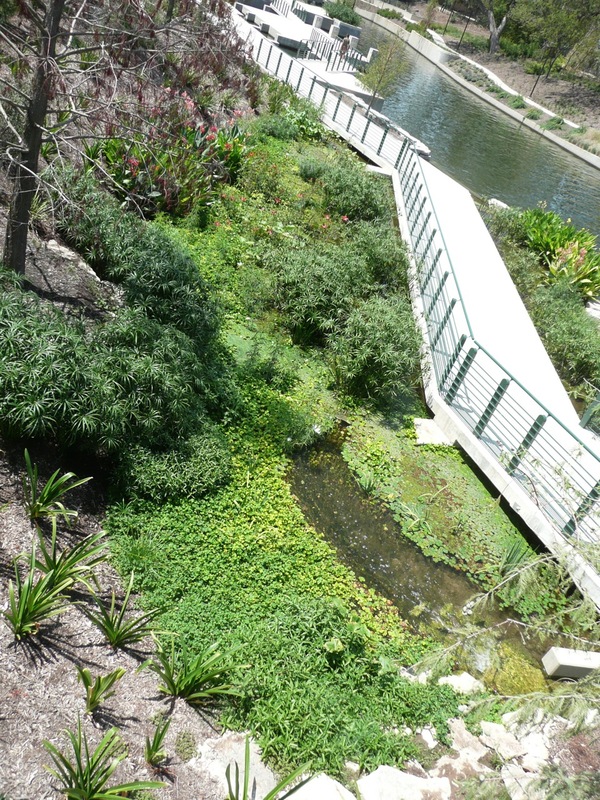 The San Antonio Museum of Art – hosed in the old Lone Star Brewery, has a spectacular connection to the new riverwalk.